Mary’s Attic, 5400 N. Clark St. 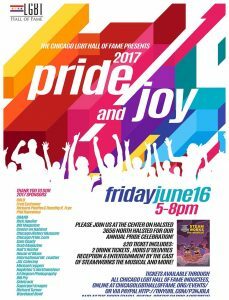 Hamburger Mary’s, 5400 N. Clark St.
Join us as we transform the Chicago History Museum into an exciting evening and very memorable to those who are inducted into the Chicago LGBT Hall of Fame. 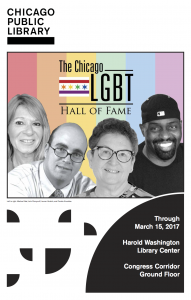 This free event is at the Chicago History Museum (1601 N. Clark St., Chicago, IL), Wednesday, November 8, 2017. Doors open at 5:30 pm and event ends at 8 pm. All are welcome to attend.